What began as a festival for music lovers on Sunday, October 1st, quickly morphed into a terrifying massacre. In Las Vegas, while Jason Aldean performed at the Route 91 Harvest music festival, a gunman opened fire on the venue from the 32nd floor of a nearby hotel. The gunman shot and killed 58 people, injuring 500, and frightening the nation. The latest mass shooting followed notorious massacres at the Pulse nightclub, Sandy Hook Elementary School, and San Bernardino. 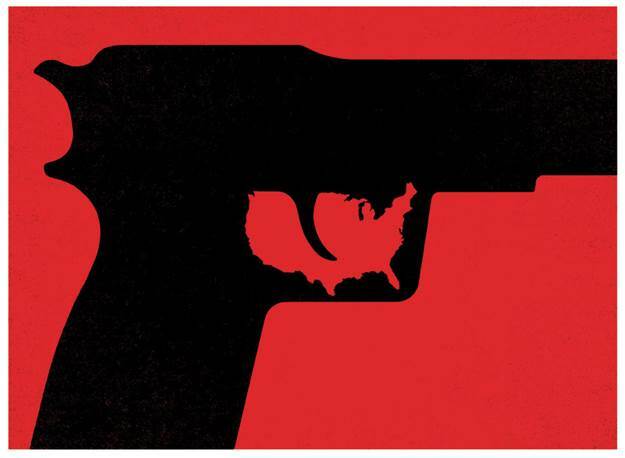 Citizens of the US, a nation that holds the grim record of most mass shootings in any given year, are on edge. While many Americans advocate for stricter gun regulations, others argue that the Second Amendment of the United States Constitution protects the right for American gun ownership. From the massacres becoming more commonplace to the everyday occurrence of gun violence, what began as an issue of humanity has now turned to a question of politics. “I think it has to be political. If it’s not, there would be no way to make any changes. It’s important to make it about the lives that we’ve lost, but we need to use tragic events like this as a bridge to making political change,” Kasey Kubit, senior, said. This matter of politics, compounded with the desecration of human life that stems from massacring American citizens, has led to two distinct ideologies in America: the affirmation and negation of gun rights. Those in favor of gun rights feel that the only way to counter violence is to protect against it. The best way to do this, according to staunchy supporters of gun rights? With a weapon of equal capability. “Gun violence in America is a serious problem. People who should not be able to get their hands on guns will always be able to, but with more good people with no bad intentions with guns, and the proper training- it would definitely decrease the amount [of gun violence] because of [good people] being able to maybe stop the situation,” Jackson Neal, senior, said. Those against gun rights, however, fear that this “good guy with a gun” scenario- the proposed idea that an individual with a gun will be able to stop another individual with a weapon- is not plausible. “I’m sure that there are some people who have maybe like a small handgun and keep it unloaded in their safe and only have it for emergencies. But for every one of those people, there’s someone with some kind of military grade automatic weapon,” Kubit said. In the Las Vegas shooting, the gunman used an entirely legal weapon and an entirely legal converter to turn the rifle into a semiautomatic gun. Both of these machines are legal, though automatic weapons themselves are not. This has led many to believe that US gun regulations need to be entirely revamped. Supporters on both sides of the debate are advocating for regulations in the world of gun ownership. “There is no reason for an average Joe to have a military grade automatic weapon. That’s not for protection; that’s for sport. Killing should not be a sport. The second we start looking at it that way, which we as a country have done, the lives are dwindled down to nothing. When you walk into that store to buy a gun, you need to be background checked. You need to have no criminal record and no history of any psychological problems. We need stricter gun control,” Kubit said. For those who support gun rights, the thought of losing those rights seems devastating. Still, even those advocating for gun rights are leaning toward more restrictions in who can have those rights. Neal, a strong supporter of his right to own firearms, feels that some regulations are needed. “Bad people will always be able to get their hands on guns. It is no different than with drugs; they are illegal, but still people with bad intentions get their hands on them. No person with a background of felonies or mental illness should be able to own guns for the safety of other Americans,” Neal said. While some people, like Neal, who support gun rights are advocating for restrictions, others, like Kubit, are calling for a complete ban on weapons. “I think it’s fine if you want to keep a small handgun in your house for ‘protection,’ but beyond that, I don’t see any reason why we as average citizens need to have access to guns at all,” Kubit said. What has risen from this debate is a middle ground of sorts. Strident supporters of gun ownership admit that changes have to be made in light of recent events. This middle ground- that citizens should have the right to own guns but only after strict screening and testing- is taking shape. “Gun rights have rules which are very tight, but people play the rules. Conceal carry I back 100 percent; open carry I dislike. If you place a gun loaded on a porch and leave it, it won’t kill anyone unless someone picks it up. I believe a mental test should be done for a gun permit to see how stable the person may be,” Corbin Alexander, senior, said. There is always more than one side in any debate. The mass shooting in Las Vegas has led to an even greater divide between those advocating for and opposing stricter gun regulations; however, as more massacres fester in America, there is certainty that change needs to occur somewhere in the gun ownership system. And for many citizens who have lost family and friends to gun violence, these changes cannot occur soon enough.